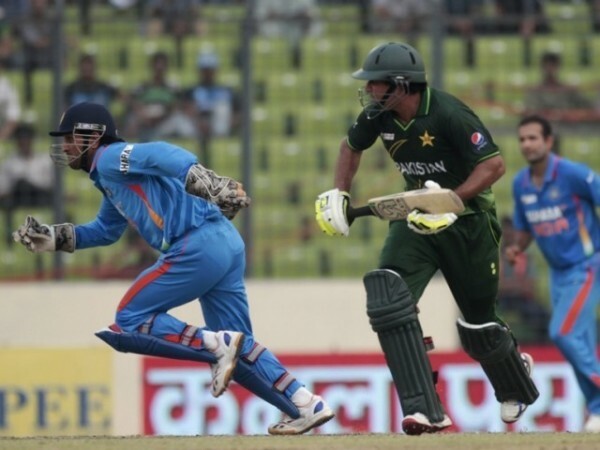 The fourth game of the ICC World Cup 2015 – India vs Pakistan – is one of the most keenly awaited affairs of the competition, which is scheduled to be played on 15 February at Adelaide Oval. Cricket Australia chief executive James Sutherland believes that it is this match, which is going to be the most watched match in sports history. Though, there are some huge games with intense rivalry during the competition, including, Australia vs England, India vs South Africa, England vs Sri Lanka, no match even stands close when it comes to the huge clash between the Asian neighbours. "We actually anticipate that that could be the most watched cricket match ever in the history of the game," Sutherland told ABC News Breakfast. While for some matches tickets have not been sold as it should have considering the competition is set to be a huge one, it is just the opposite for tickets regarding the intense India-Pakistan clash, where tickets were sold out in just 20 minutes. "Tickets went on sale in Adelaide six to 12 months ago. They were sold out in 20 minutes. More tickets have since come on sale. They've basically gone in seconds." It is not only people from India and Pakistan that would be watching the game, but cricket fans scattered around the world would also be glued to their TV sets, as the game has brought some of the most intense finishes in world cricket. "It will be a capacity crowd. There will be literally billions watching on TV for this India-Pakistan match and we understand that 80 per cent of the crowd are actually going to be people from outside South Australia." As history suggests, irrespective of where the game has been played, Indian and Pakistan cricket fans head over the venue to support their nation to the hilt. Previous World Cup encounters in England, South Africa brought the game to life. One can expect the same from fans in Australia as well. "It will be an incredible atmosphere for that game and just as another example, we've got an Afghanistan match in Canberra which has sold out," said Sutherland. Indian fans watching the game on their TV sets at home or supporting the men in blue at the venue would want the Indian team to maintain their unbeaten streak against Pakistan in World Cups. Both the teams go into their first match of the competition on low confidence, as they have been dismal of late, but expect both sets of players to give it their all during the game, as it not just another game.